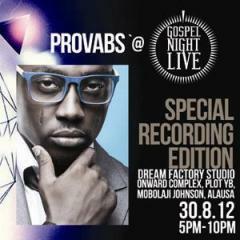 GNLive, A Spinlet Sponsored live monthly music concert holds its 4th edition – A SPECIAL RECORDING EDITION on Thursday August 30, 2012. 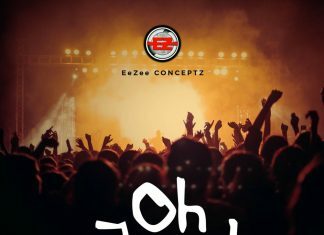 This time, it’ll feature several gospel artistes including Provabs, Onos, D’Bass, Psalmos, Efe, Uddy, Benita, House of Psalms and many more. The monthly event GNLive which made its debut in May, has played host to the likes of Sammy Okposo, M.I, BOUQUI, Midnight Crew, Mike Aremu, K’Ore, Nikki Laoye, Sabina, Efe, Gameman, Vivene Stephen, V6 and so many more. 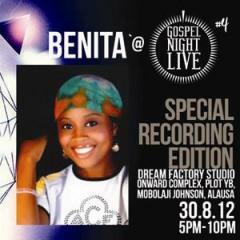 VENUE: Dream Factory Studios, Onwards Complex, Plot YB, Mobolaji Johnson, Alausa (near 7up), Ikeja, Lagos. COME DRESSED FOR TV. Red Carpet for all. Sponsored by SPINLET & Powered by HIM. Stay tuned to your favourite gospel radio station PRAISEWORLD RADIO to listen to exclusive urban gospel music hits all day, every day! Cheers!! !